Shotley Bridge is near Consett, north-west of Gateshead. Cottage Homes were built here in 1901 by Gateshead Poor Law Union. 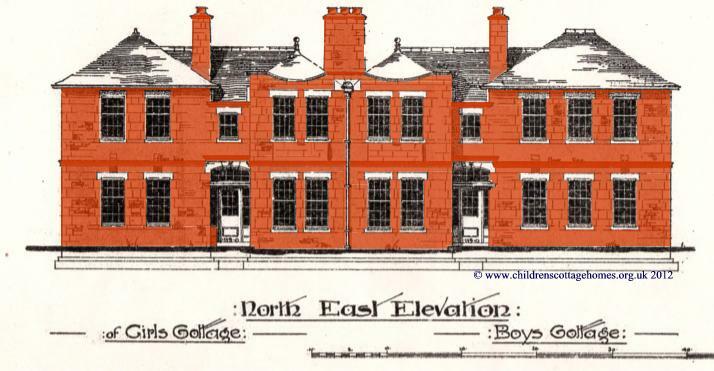 It is thought that these were the first cottage homes in the north east of England. According to ‘A Short History of Gateshead’1, efforts had been made to get children out of the workhouse including emigrating children to Canada and boarding out (fostering). When these efforts were not resolving the problem of children in the workhouse, the cottage homes were built. Shotley Bridge Cottage Homes, also known as Medomsley Cottage Homes, comprised six cottages which could accommodate 120 boys and 90 girls. This suggests that were, on average, up to 35 children in each two-storey cottage. The cottage homes at Consett did not last long, continuing to be used only until 1930 – the point at which the Poor Law Union handed over responsibility to Gateshead Council. 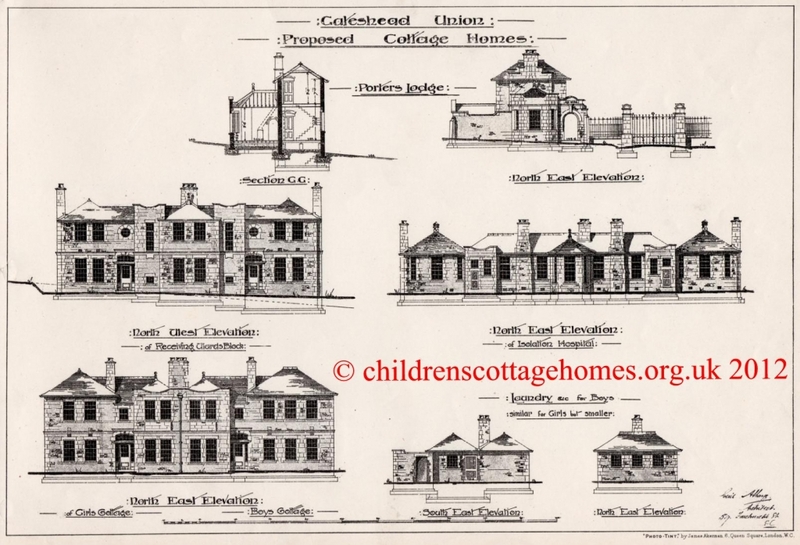 From the drawings of the cottage homes above2, we know it was proposed that the homes would have a porter's lodge, an isolation hospital, a receiving ward (to which children would have been brought before being allocated one of the cottages), a boys' laundry and another (smaller) laundry for girls. Most of the cottages were semi-detached with girls in the house on one side and boys in the adjacent house. The cottage homes were entered through an iron gate next to the porter's lodge. Admission and discharge registers for Shotley Bridge Cottage Homes are held at Durham Record Office, County Hall, Durham DH1 5UL (tel 0191 383 3253, email record.office@durham.gov.uk). See our section on Accessing Records for more information.